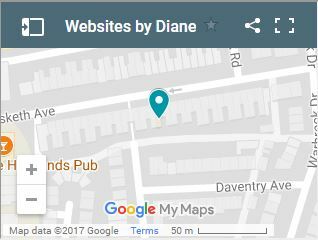 Whether you simply want a PayPal button or two on your website, or a full eCommerce shop, Websites by Diane can help. If you've already been searching for a company to design your eCommerce website, you may have been deterred by the prices you've been quoted. I mainly work from a home office and build and design all websites myself. This allows me to keep my overheads low. And after 10 years of running my own web design company, I'm also pretty efficient! How Can You Offer Cheap Ecommerce Web Design? One of the key elements of having an eCommerce site is that you are able to add products, change pricing, add discount coupons etc whenever you wish. The Content Management System (CMS) I use makes this really simple and leaves you in full control of your own eCommerce site - if that is what you want of course, otherwise I am more than happy to manage the whole site for you. Because the CMS is so easy to use, I can set up the main elements of the site and you can then simply add your products. This keeps the cost of the website low, without having to compromise. This is a really cost effective way of having a large eCommerce site with 100's or even 1000's of producst. And I will of course always be here if you need help and guidance. At WBD I offer ecommerce websites at affordable prices. Why not get in touch and start selling online now?